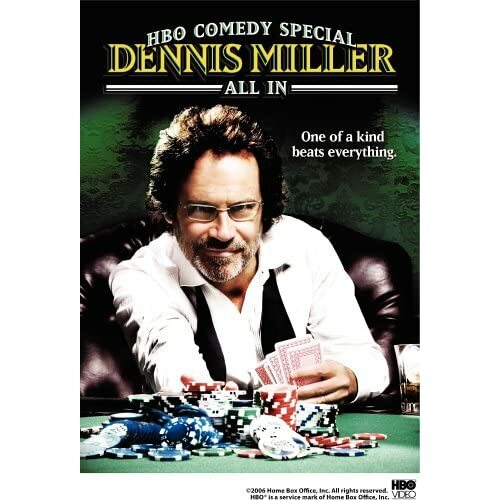 Three months ago when the WGA went on strike, the networks announced a new Dennis Miller show, imo, a cheap tactic to scare the public into demanding writers return to work. Today’s PAGE SIX item predicting Miller’s imminent demise, two days after a strike settlement, only bolsters my claim. As for Miller, should he get a gig as a snarky Animal Planet host who can bring some much-needed “edge” to clips of kittens in snow boots, he will have worked on every cable channel in my basic subscription. So this proves it: people do not want their sports highlights to come with heaping sides of War on Terror and Rudy Giuliani support. This guy can’t win. Justifiably so, but still. This had me laughing. Great line. So true, there should be lots of opportunities galore for Miller to exercise that unique wit and personality: the narrator role in the endless torrent of programming on the Discovery Channel and National Geographic based on various end of the world scenarios (asteroid impacts/earthquakes/tsunamis/terror/black hole devouring, etc.) all seem well suited to his skill set. The History Channel could employ Miller to describe the extinction of dinosaurs, ancient civilizations, and Bermuda Triangle vanishings. The list goes on. It might be a stretch to expect Miller to acknowledge global warming as fact, but a man’s gotta work. Miller’s gotten more chances hosting a show than Steve Howe did trying to get his luggage through customs. Of course that’s just my opinion, i could be wrong.